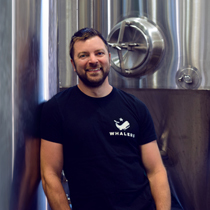 Founded in 2011, Whalers Brewing Company is a project by Josh Dunlap and Wes Staschke. We brew beer we like to drink, and we only drink good beer. 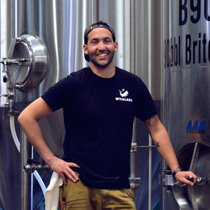 Shortly after being honorably discharged from the United States Marine Corps, and while working as a commercial fisherman, Josh decided to make good on a longstanding dream to start a brewery. Now he spends his days making beer, with an eye towards higher ABV, barrel aged, and hoppier styles. Wes started brewing in 2008 while attending college, and after graduating with an engineering degree, continued to develop new recipes at home. Moving to Rhode Island in 2013, he began working on his own brewery before joining the Whalers team. Wes favors lighter, more sessionable beers, as well as his growing love of sours. 2018 "Best Brewery in Rhode Island"
2018 "Small Business of the Year"
2018 "Rhode Island Brewery of the Year"
Rise, 2017-2018 "Five Star Beer"
2017 "Best Brewery in Rhode Island"
2017 "Small Business of the Year"
2015 People's Choice "Best Brewery"
2014 People's Choice "Best Brewery"